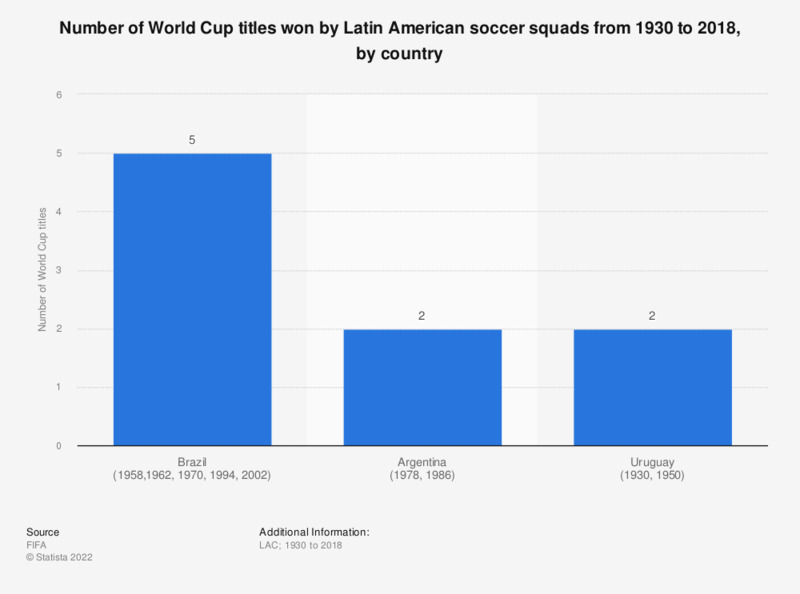 The graph depicts the number of soccer World Cup titles won by Latin American teams since the inaugural World Cup in 1930. Brazil has won five soccer World Cup titles: 1958,1962, 1970, 1994 and 2002. The only other Latin American squads who have won the tournament are Argentina and Uruguay, with two World Cup titles each. The publication date given is the date of access.